An info sheet to accompany the call for applications to the Eastern Partnership School for the 2019-20 academic year, answering a set of frequently asked questions about the school and its programme. The deadline for applications is 1 March, 2019. 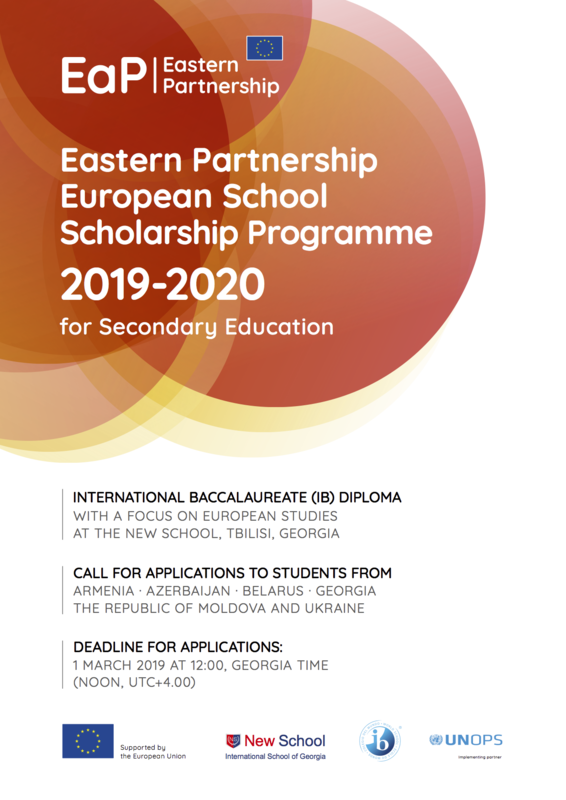 The Eastern Partnership School is based in Tbilisi, and offers a quality education to pupils from partner countries, with scholarships to students from the six partner countries for an IB Diploma Programme with a focus on European Studies.